The old adage goes that beauty is in the eye of the beholder. Legally that equates to a subjective test, which the courts shy away from. But what happens if an architect promises to give a client a building with a ‘wow’ factor and abjectly fails to deliver on that promise? How do the courts enforce such an obligation? Those are precisely the grounds on which a London-based architect was successfully sued by his clients, who said he had failed to give them a floating cinema room which had the ‘wow’ factor. On a closer analysis, the decision to award damages to the claimant homeowners made by the Technology and Construction Court was not as straightforward as failing to deliver an undefined wow. But it does provide useful guidance for architects on the scope of their duties in relation to the production of an initial design brief and subsequent updates. It was broadly common ground in this case that what the clients had wanted from the outset was a ‘sleek industrial design’. However, the design produced by the architect and subsequently substantially constructed had somehow morphed into a ‘wonky industrial design’. The clients had rejected the design and sued the architect for significant damages under a number of heads, including the cost of demolition, rebuilding alternative leisure facilities and damages for distress and inconvenience. Rather than rule on what might constitute an undefinable ‘wow’ in architectural design, the judge embarked on a close analysis of what an architect’s duty is to a client to record their brief and any changes to the brief. The judge rejected the view that an architect and domestic client may have a more informal arrangement where they amorphously embark on a journey of design exploration together (which was a central plank of the defendant’s case). Rather he held that such a view had meant that the journey of exploration the defendant architect had embarked on ‘was a journey taken without inviting the claimants to accompany him or even with the claimants being told where he was headed’. Significantly for people operating as architects and design professionals, the judge held that there was a specific duty on an architect as part of his or her duty of reasonable skill and care to ensure their brief is recorded in writing. In a millennial twist, the judge held that it was not enough to rely on uploading pictures or images to a Pinterest page to comply or get around failure to comply with this basic requirement (which is reflected in the requirements of the Architects Registration Board). If in exceptional circumstances no written brief is to be provided, a reasonably competent architect should explain why not to their client, in writing. The judge went on to rule that the same approach is applicable to changes or variations to a written brief and represented an essential part of the architect’s services paid for by the client. However, in this case, although the court found that there was a general duty on an architect to provide a written brief and record updates to that brief in writing, the court did not accept that all the losses claimed by the claimants were caused by that breach. While the court accepted that the claimant was entitled to repayment of the wasted costs of the enterprise, the costs of demolition and completion of a function room, they could not show that restoring the room to a pool house was a realistic option arising from the breaches of duty which the defendant was responsible for. Therefore, the defendant was held not to be liable for the significant costs of reinstatement of the swimming pool which significantly reduced the amount of damages actually awarded against those claimed. The claimants were, however, allowed to recover a nominal sum as damages for distress and inconvenience. The architect in this case struggled at trial as he had not kept any clear records of his interactions with his clients in relation to the design and development of that design. In addition to the absence of a written brief and written records relating to updates to the design, the judge was critical that the architect was unable to produce clear records of meetings or contemporary documents recording communication with the client. In the architect’s own words the records he had represented a ‘tumble-dryer of information’ which the court ruled as no good to anybody, least of all the architect in his defence. Therefore, although architects can sleep easy knowing that the courts have not ruled themselves as arbiters of taste, it is now settled law that a failure to give a written brief and updates will represent a breach of the architect’s duty. If the client does not like the design as constructed, they will have good grounds to sue. It is also a useful reminder that it is always best practice to keep an eye on what might happen if things go wrong. Record minutes of meetings, progress and developments contemporaneously, clearly and in an organised way, so that this information is readily accessible and understandable if things take a turn for the worse and you find yourself on the wrong end of a professional negligence claim. 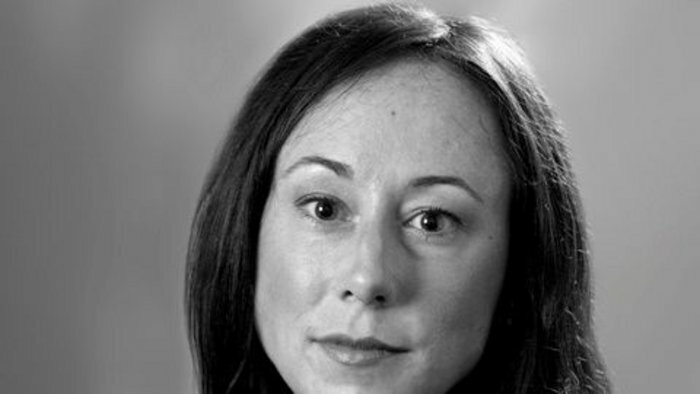 Catrin Rees is senior associate at Collyer Bristow.